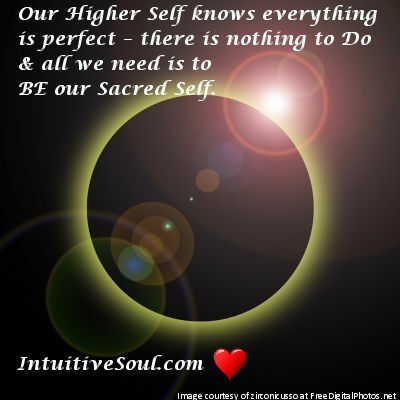 Laurie Huston from News the Heart is talking with Peace Mother Geeta Sacred Song – Peace Mother is a world-recognized Mayan Peace Shaman, EnLightened Master, Master Healer and embodiment of The Divine Mother of The Universe. Join us for this interview as we share the Compassionate and Loving Embrace of Peace Mother. We discuss 2019 and Holding the Light while BEing a Warrior of Peace. As a fully EnLightened Spiritual Master, Peace Mother understands every aspect of human suffering. She is able to call forth Grace for you and your Life Path and help you break free of any torments and limitations that are blocking you from living your Highest Destiny. Her ceaseless Gusto and Devotion to the Light is Highly contagious and fills you with Joy, Courage, Peace, Self-Respect, Fulfillment and Serenity. Any contact with the Holy Mother is a mighty karmic Boon which instantly Uplifts you, Heals your Spirit, and Strengthens your Connection to your Angels, Spirit Guides and Divine Protectors. With Joy-full Zest, a Compassionate Gaze and Light-charged Touch, the Holy Mother Activates the Light within all. Like all true Masters, She quickens your Divine Essence, Clearing you of negative karmic patterns and energy, Opening you to the Spiritual Guidance of your Higher Selves, Guiding you to our Highest Destiny. EnJOY this amazing hour where we share some Graceful Truths. We’re Getting to the Heart of what Matters! I love this time of year. 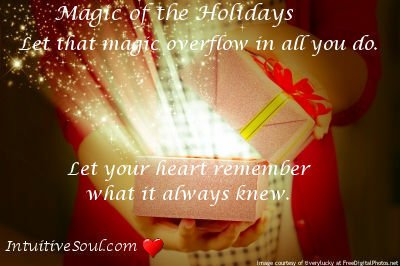 The ‘Magic of the Season’ is the love, compassion, and generosity that exists – especially at this time of the year. It has the power to open our hearts so completely that we wonder how we have ever loved in the past. The ‘magic’ is remembering the excitement we had as children and the innocence we had at exploring what new adventures were right around the corner. Find your way to let the Magic nurture and foster your Divine Essence. And let that Essence flow out into your life, at this time of the year and every day of your life. Remember the feeling of this Magic of the Holidays and make a promise to yourself to create Moments of Magic this holiday season! And you will be a part of the true spirit of the Holidays! Happy Holidays From My Heart to Yours! Welcome to the final month of 2018 to complete the integration of this years vibration of Self-Mastery through relating. Lessons around Self-Mastery are not easy because it has you accessing the strength and courage that exists within the self. We are currently being supported through the sign of Sagittarius which allows us to gain the experience necessary in fully understanding the wisdom that in inherent within us. We start December with Mercury Retrograde which started on November 16th in Sagittarius. On December 1st Mercury will retrograde back into Scorpio, allowing us to purge those ingrained thoughts that no longer serve. It will station direct on December 6th supporting us in gathering our consciousness and then tap into our higher mind once it moves into Sagittarius again on December 12. As I sit writing this we are coming up to the Beginning of the Holiday Season – it was right before the American Thanksgiving which leads to our Christmas Season. Every culture has Holidays during the end of the Year where we can feel Blessed and Grateful. The Spirit of Giving to others is part of the Magic that surrounds us each year at this time. We have movies that make us cry and laugh and fill us with Hope. 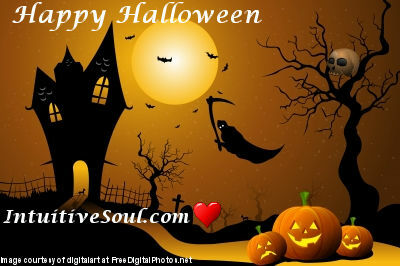 We visit our families, friends and loved ones – some of these visits are challenging while others are exactly what our Soul needs. When I get into the Holiday Spirit each year I connect with this Magical Essence that reminds me why I work so hard to Grow Up and Find my Peace. Emmanuel Dagher during our last Club Miracles session discussed Good Fortune and how we just need to feel worthy of our Blessings and to be in the Flow of Life to experience Good Fortune. However, what I resonated with the most and of course what has been ‘showing up’ is that during this time one of our challenges with BEing in the Flow (BEing in the Present moment) is our ability to Love and Accept ourselves for who we are; to find Peace in where we are at the moment. The Spirit of Giving to others is part of the Magic that surrounds us each year at this time. If you want to join us for a live taping of News for the Heart, you can join us on BlogTalk. Let me know & I will post all the information on Facebook! Don’t miss my newsletter each month and receive discounts on my favorite services as well as a download of a Quan Yin meditation. Sign up on the right at the top of the page. I’m not sure where the time is going? I love the Fall even if the colors aren’t quite here yet, however, I have a feeling by my next Newsletter we will be well into the beautiful Fall colors! In a year of opening our heart chakra we need to look at all aspects that has us in a place of not loving fully. Venus incorporates our relationship with other people, our relationship that we have with our self, and our relationship that we have with money (which is really about our personal values and beliefs). There are a couple of ways this energy can manifest. When we look at love it is a higher vibrational emotion. Venus can often trigger emotional responses within the self, but not superficial emotions, deep emotions of love, as well as, its opposite. Whenever we are dealing with other people and how we relate, it really has nothing to do with the other person and in fact we are dealing with how we relate to our self. We are working with re-establishing a proper relationship with ourselves and that is simply mirrored out into our relationships with others. Do you respect yourself? You will find the answer to that simply by attracting people who dis-respect you. Do you love who you are, flaws and all? You will notice that in your relationships if others are constantly judging your flaws and pointing that out to you. Anything you notice about your relationship energy that you do not like is simply a mirror of how you may not notice you are relating to yourself. Venus retrograde in Scorpio will show you who and what have outlived their purpose in your life. Typically, when this takes place, relationships will come to an end. If not a complete ending, then they will transform or change on some level, so that a deeper connection or bond can be made. Any relationship that makes it through a Venus retrograde in the sign of Scorpio and Libra, will be made stronger, or become a more authentic reflection how you are relating to yourself. If we look to our relationship with money under the Taurus (personal values and beliefs) rulership. What deadwood do you need to release? The house of Scorpio is ruled by several factors; death, transformation, rebirth, other people’s money, loans, and taxes. When Venus stations retrograde in its opposite ruling sign, loans may be overdue, and the stress is weighing on you in some way. There is a possibility of finding a solution to your current financial wows, the key to remember is do not make them any worse. Focus on a plan that will ensure your ability to take back your power by not overspending at this time. When spending, ask yourself “Is there any value in your current purchase?” If not, then it is best if you focus on paying back what it is that you owe. New purchases are not suggested especially if they are a major ticket item. Instead really contemplate the value that you bring to the world, and the lessons you are learning with your current financial situation. Keep in mind if you are feeling low energy, or lower vibration emotions, than this is all a part of your re-evaluating your worth out in the world. There is an opportunity to find a sense of balance once Venus stations direct in the sign of Libra. This month’s inspiration came again from Emmanuel Dagher and my beginning work with Peace Mother Geeta Sacred Song. I think about many concepts in my mind as I grow on this journey. Last month I touched on Failure in Feelings vs Emotions. Since then the Fear of Failure has become a theme in my work. This is always a sign about the importance of something entering my life. And I pride myself on being a Leader by Example. When I go through something I know I can assist others. So the Fear of Failure is one of our deep core fears that can be responsible for blocking us from Thriving in this life. Plus: Responsibility is something I have examined many times – as I knew that this term “responsibility” carried a heavy weight. Emmanuel in our last Healing Session from Club Miracles shared that Lack of Prosperity often is because we feel too much “responsibility” in our lives and this ‘heaviness’ is closely related to our Fear of Failure. Fear of Failure is one of our deep core fears that can be responsible for blocking us from Thriving in this life. 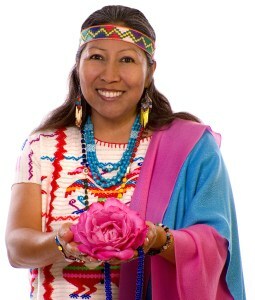 Laurie Huston from News the Heart is talking with Peace Mother Geeta Sacred Song – Peace Mother is a world-recognized Mayan Peace Shaman, EnLightened Master, Master Healer and embodiment of The Divine Mother of The Universe. Join us for this interview as we share the Compassionate and Loving Embrace of Peace Mother. 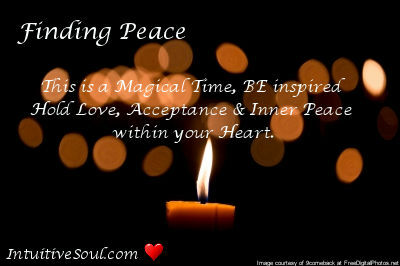 As a fully EnLightened Spiritual Master, Peace Mother understands every aspect of human suffering. She is able to call forth Grace for you and your Life Path and help you break free of any torments and limitations that are blocking you from living your Highest Destiny. Her ceaseless Gusto and Devotion to the Light is Highly contagious and fills you with Joy, Courage, Peace, Self-Respect, Fulfillment and Serenity. Any contact with the Holy Mother is a mighty karmic Boon which instantly Uplifts you, Heals your Spirit, and Strengthens your Connection to your Angels, Spirit Guides and Divine Protectors. With Joy-full Zest, a Compassionate Gaze and Light-charged Touch, the Holy Mother Activates the Light within all. Like all true Masters, She quickens your Divine Essence, Clearing you of negative karmic patterns and energy, Opening you to the Spiritual Guidance of your Higher Selves, Guiding you to our Highest Destiny. EnJOY this amazing hour where we share some Graceful Truths. We’re Getting to the Heart of what Matters! iwolight.org Impeccable Warriors of Light!